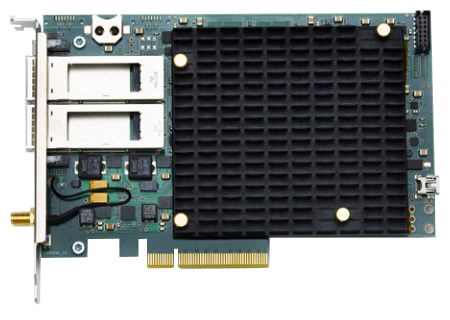 The quest for ever increasing system performance is propelling the adoption of FPGA technology in Network Interface Cards (or NICs). 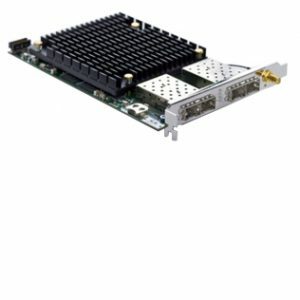 As the network speed has been increasing from 1GE to 100GE, FPGAs have proven their ability to process massive amounts of network traffic in real-time and bring a level of determinism and consistency that is not possible with other technologies. 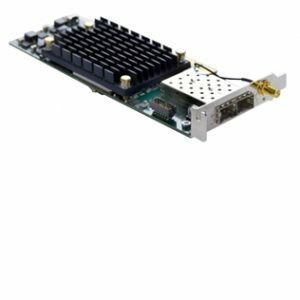 The fbSmartNIC product family has the most comprehensive selection of programmable Ethernet cards designed to competitively enhance performance in a host of networking, financial and big data solutions. The fbSmartNIC consists of highly optimized functionality well suited for e.g. financial algorithmic trading platforms where sub-micro second latency is crucial. The complete transport layer offload can be combined with customized logic interacting directly with the Silicom FPGA network cores. This is an efficient way for the advanced user to achieve even lower latency and to implement any filters or acceleration that are necessary for a specific application. Silicom FPGA solution comes with a full Software API for a seamless integration and monitoring. All fbSmartNIC products are supported with our hand-optimized SDK and device drivers which allow our customers to start developing their high-performance applications right out of the box. Layers 3 and 4 network capabilities are provided using our own industry-proven MAC and TCP/IP solutions. The fully integrated offering makes Silicom FPGA Solutions a true one-stop solution provider and helps customers save on development and total cost of ownership. 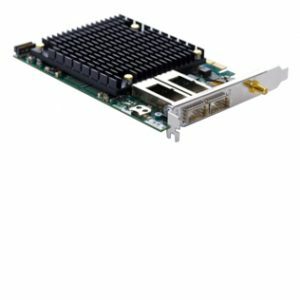 Silicom FPGA cards are available in variety of form factors and support 1G to 100G Ethernet network speeds, both Xilinx and Altera FPGAs, latest generation of PCI Express host interface, and a variety of memory configurations suitable for most applications.